The visit of more than 90 US travel agents to the area over three separate FAM trips strengthened the beach segment for the destination; there were also specialty workshops held for luxury agents specializing in the premium segment. During the month of March, three FAM trips with US agents stood out among the many promotional activities of the Riviera Nayarit Convention and Visitors Bureau (CVB). The trips included a retail agency that’s part of the Virtuoso Worldview Travel consortium as well as wholesalers MLT Vacations and Funjet Vacations. Nine agents from Worldview Travel stayed at the destination from March 12-17; these agents specialize in luxury vacations and came to explore the Riviera Nayarit and inspect the hotels of interest to their clients. They were accompanied by Betty Emeric, General Manager for Alaska Airlines, who was on-hand to promote connections with the destination. Their activities included visits to Sayulita, San Pancho, Punta Mita and Nuevo Vallarta; they were very impressed with the Riviera Nayarit’s symbiosis between nature and luxury. 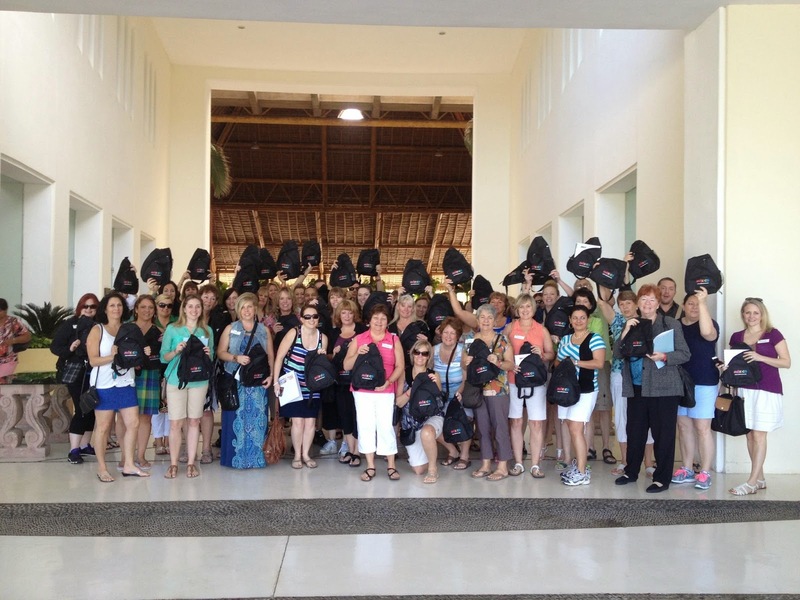 A group of 25 agents from Funjet Vacations visited from March 5-8, arriving from different US gateways. There received training and updates with everything that’s new about the destination. They also visited Sayulita and many of the region’s accommodations. The early part of the month (March 2-6) saw the arrival of the largest of the three FAM trips that visited Mexico’s Pacific Treasure. A total of 60 agents from five different states were present. After their workshops they will not only sell the destination, but they will also be able to promote Delta Vacations’ direct flights from Atlanta, New York, Los Angeles, Minneapolis and Detroit. The group performed numerous site inspections and toured the Marietas Islands to get a taste of the Rivera Nayarit’s biodiversity. The objective of the visits was to maintain the Beach segment while strengthening the Premium segment as well. Through these promotional activities the Riviera Nayarit CVB seeks to consolidate its position with the US market, a very important captive audience that now has even more agents who are completely head over heels for the Riviera Nayarit.